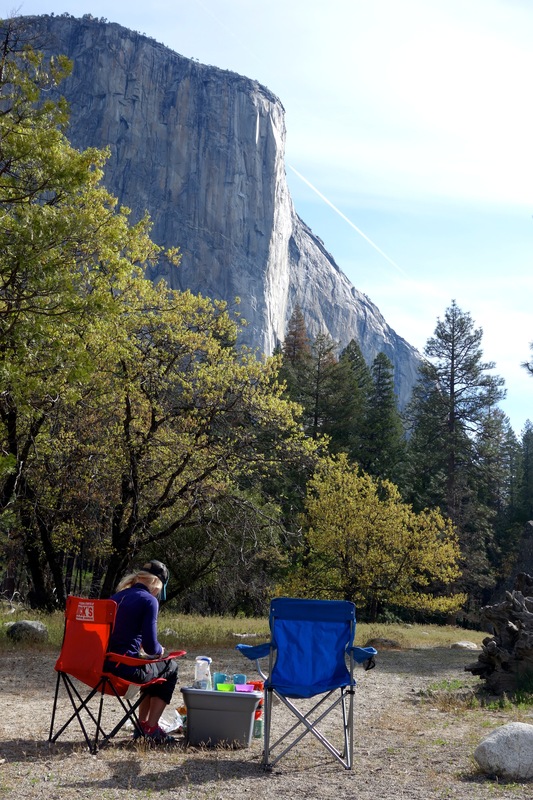 Katja and I have been to Yosemite together once in 2012. 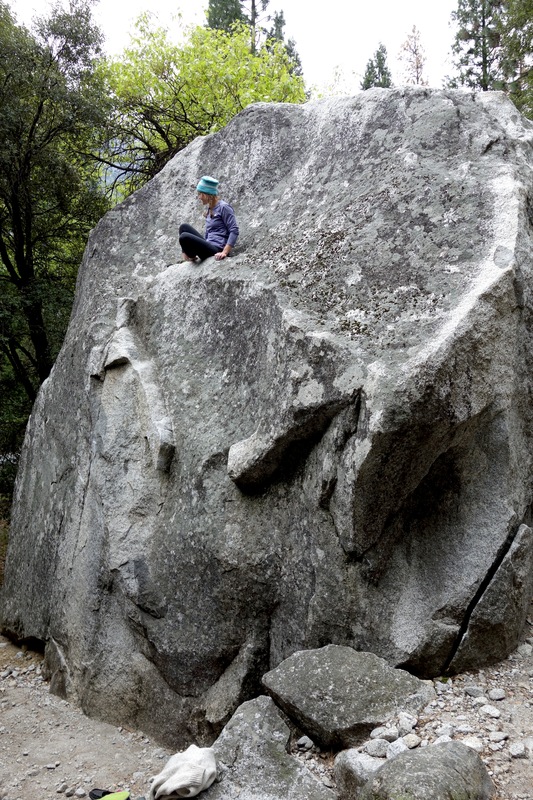 Back then we didn’t understand what it means to climb long routes or big walls. Katja had just climbed for the first time in her life at the Red Rocks near Vegas. I had climbed at Smith Rock about four times. 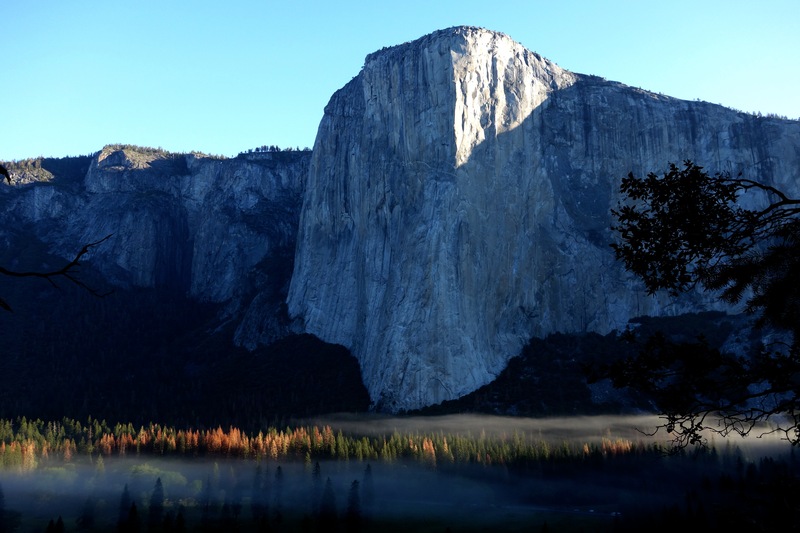 After the first visit Yosemite became the goal for me. I was inspired by the beautiful surroundings which reminded me of home. Everything was just much bigger: the trees, the pine cones, the squirrels, and the rocks. 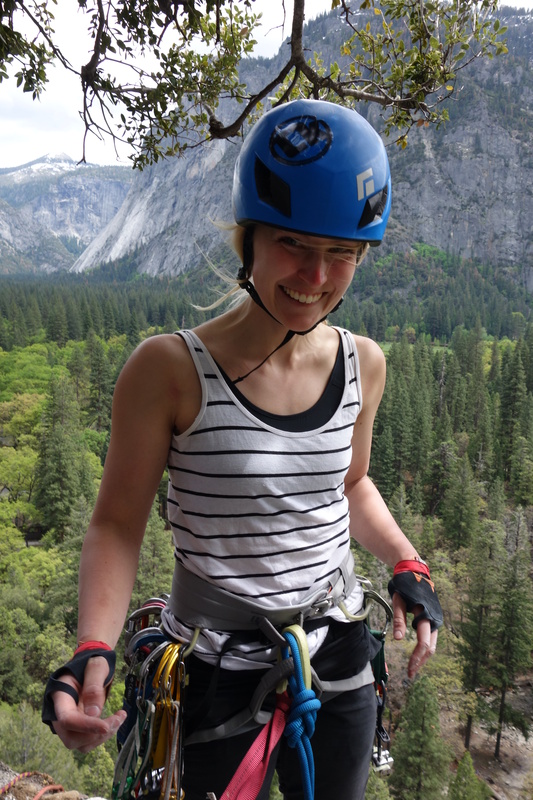 Today other climbing venues have become just as inspiring to me but Yosemite is special because it was the first place that got me invested in trad climbing. After the trip I bought a set of nuts and biked to the Columns in Eugene to practice placing gear. Back to 2016. 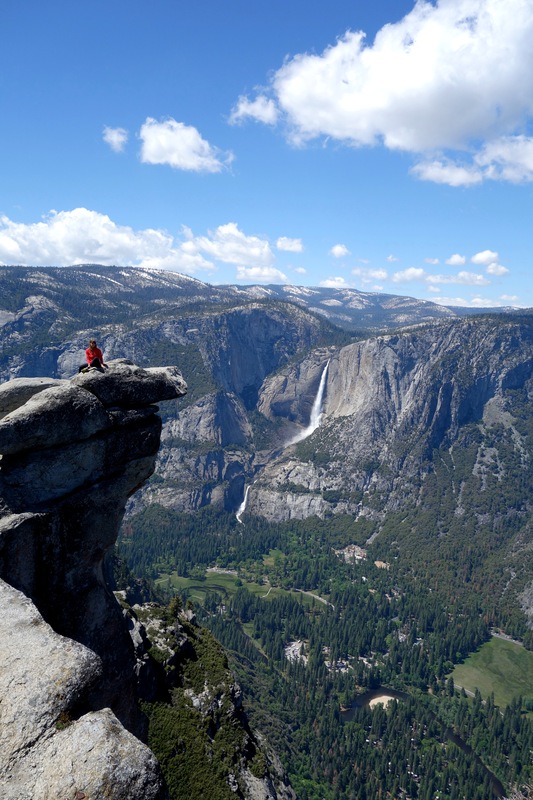 The total cost for a two week Yosemite climbing trip for two ladies was about 2400 euros so 1200 euros each. 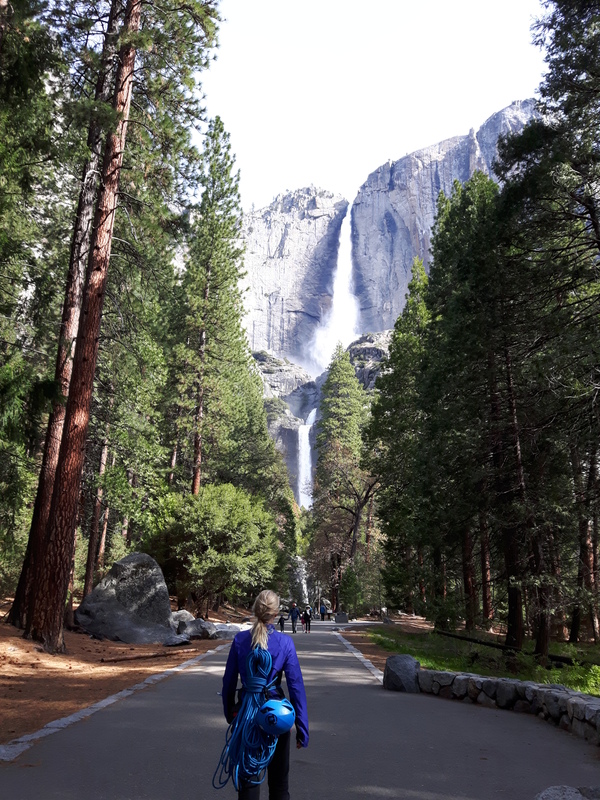 We traveled from Tampere to Yosemite. We like living cheap but we also like good food. We both purchased the Gouda Super travel insurance for 160 euros. 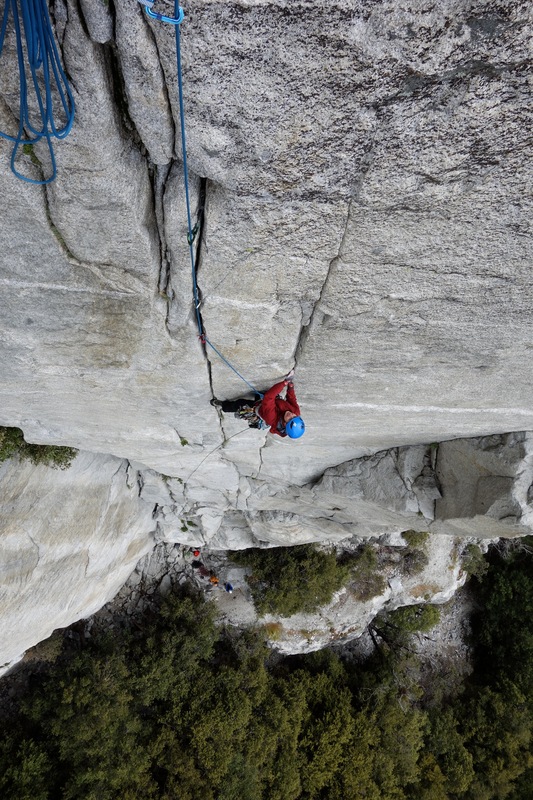 The insurance we have through the Vertikaali climbing club does not have enough coverage in the US. Sleeping. We slept in a Lost Campers rental van. I highly recommend it. 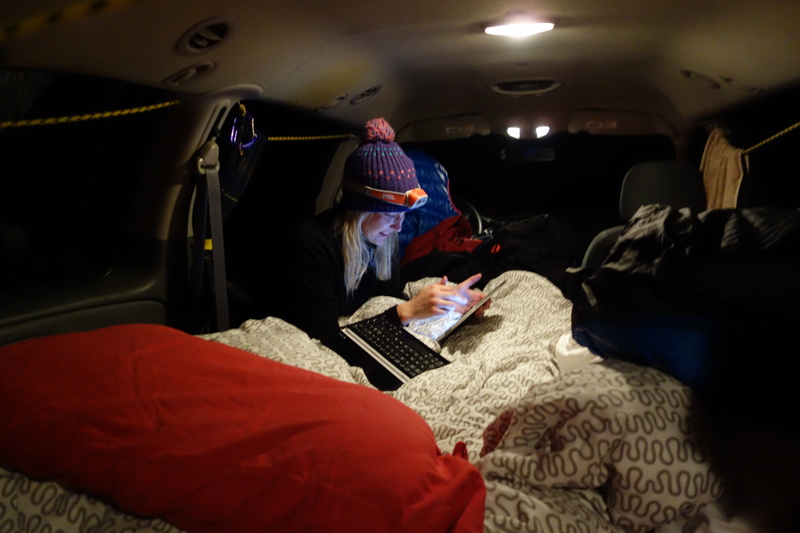 The only downside with sleeping in a van is you have to drive out from the park every night. 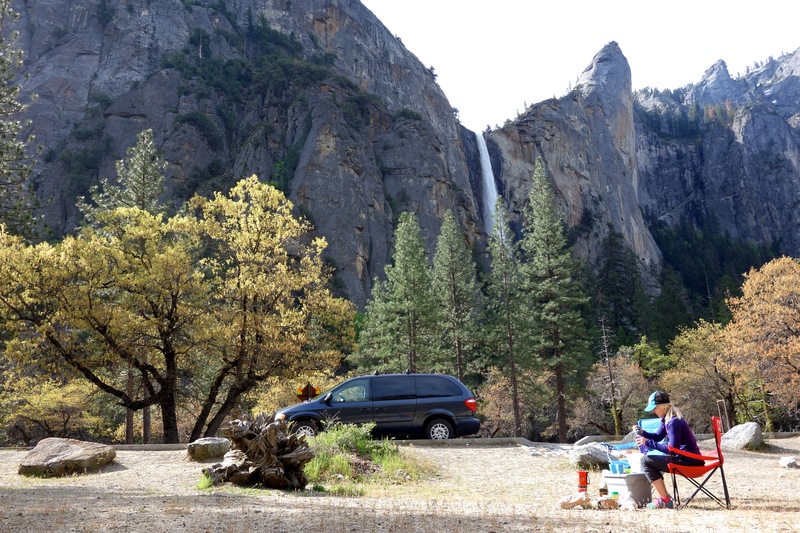 Parking on pullouts in BLM land or Forest service land work unless there is a sign that prohibits camping. Having wine almost in bed. Food. We planned dinners beforehand and bought groceries in the Bay area (mostly from Trader Joe’s). The grocery selection in the Valley is great but some items are expensive. Milk. Have you found UHT milk or something that corresponds to it (and does not have high fructose corn syrup in it) in the US? If you have I would love to know. We used the powdered stuff. Breakfast by the Leaning tower. Katja, we know it’s you. 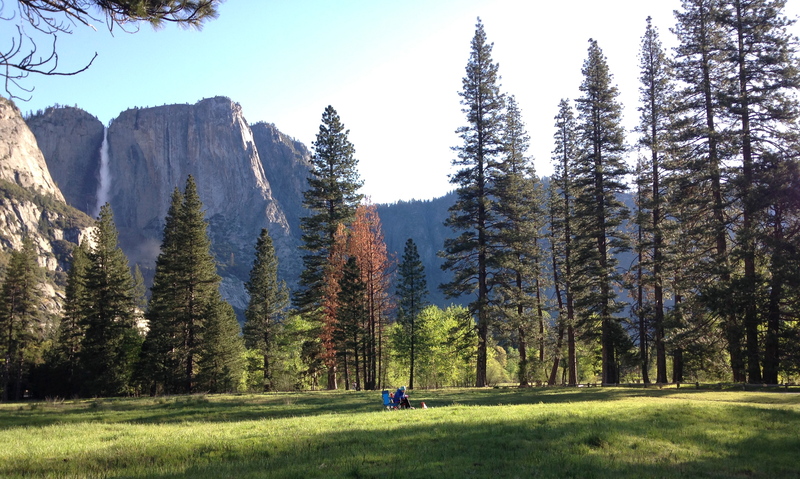 Lunch at El Cap meadow. Bears. Keep food and scented items (tootpaste, lotion) hidden during the day and in a bear box during the night. Save the bear. Water and bathrooms. Are everywhere. Gas. The closest gas is either in El Portal or right after the park entrace on 120. 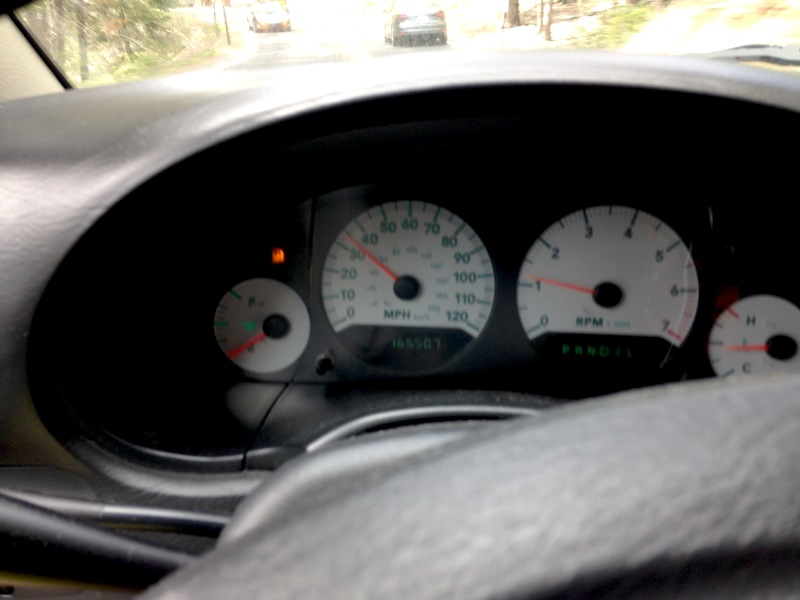 We spent almost two tanks in the Valley because we drove in and out every day. 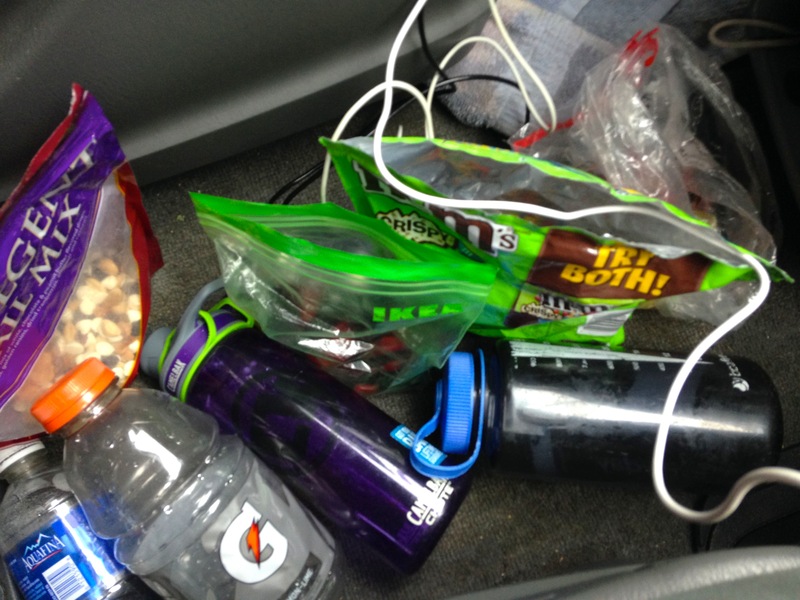 Fill up before entering the park if you are running low. Red killer ants. Avoid trees and wear socks over your pants when rappelling. If you get attacked, strip all your clothing and ask your partner to help remove the ants. Climbing topos. 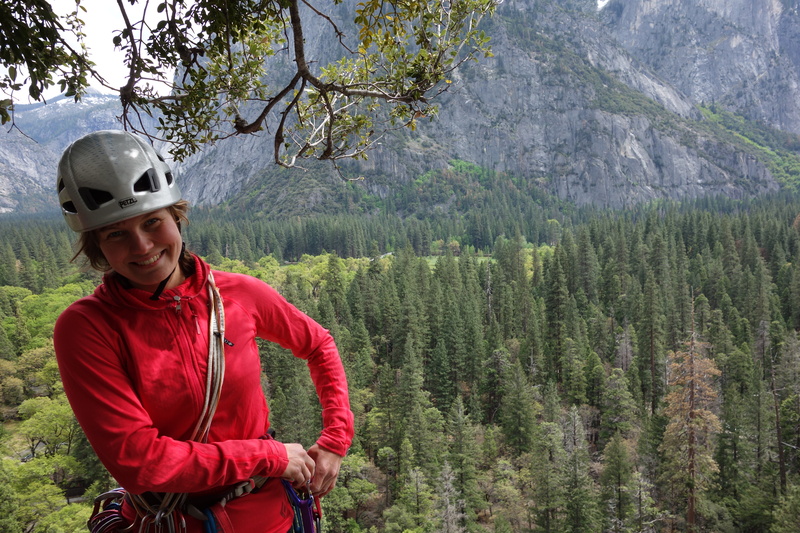 We had everything in our phones; the Yosemite Valley Free Climbs and the Mountain Project App. The Supertopo website has more up to date information. Navigation and maps. For driving we used Google maps in offline mode and for the hiking we used the Gaia gps. Make sure you download the areas in a place that has good wifi. I put the tracking on if I was worried about hiking back in the dark. Weather. The updated forecast is printed out in several places. There is a lot of options for wifi so it’s easy to check the weather on your phone too. The service is very spotty so you can’t count on your phone much. 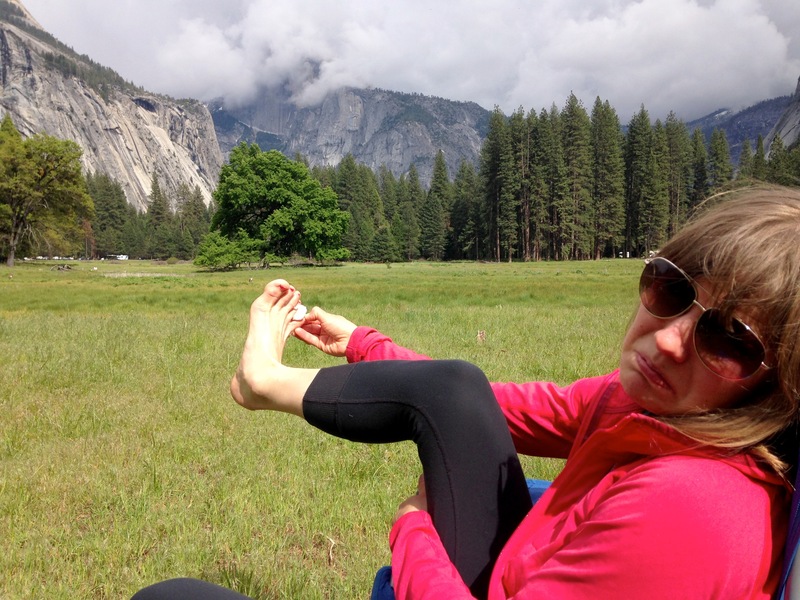 The weather is coming in on Half dome and I have a blister in my little toe. Sad day. Rope. The pitches are generally 40-60 meters long. 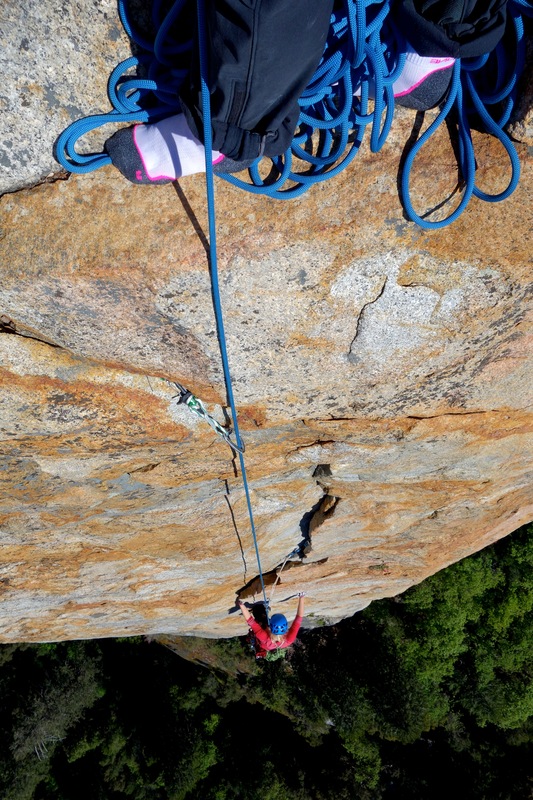 We climbed with a single 60 meter which worked perfect. 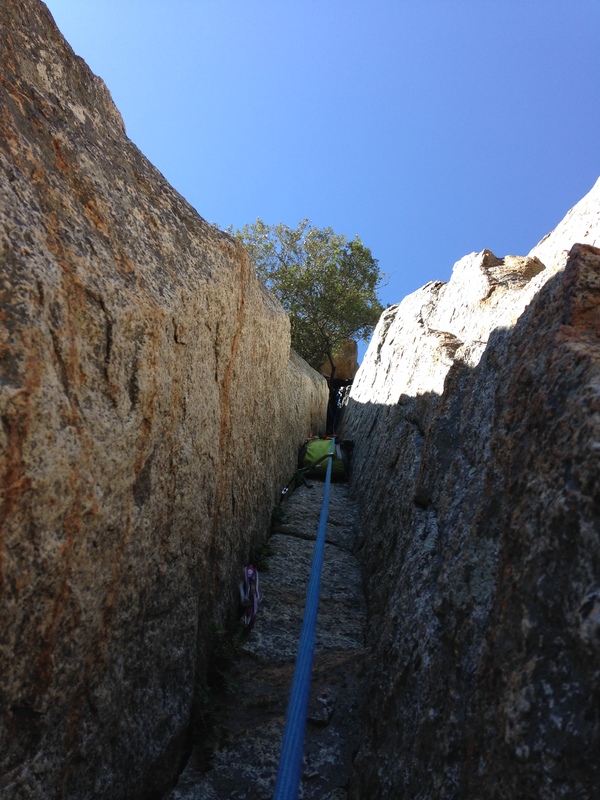 We had a 60 meter half rope as a back up for the routes which required two ropes to rappel. We could have had a 65 meter static pull cord too, but we ended up choosing the dynamic rope in case we needed a second lead line. Rack. We usually had a double rack up to #3. 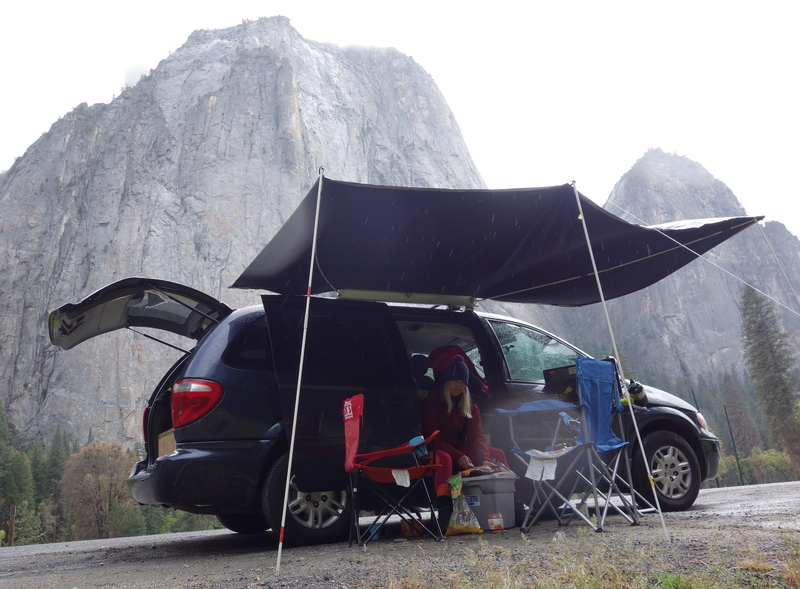 We brought a #4 if the topo suggested to bring gear up to 3.5. Sometimes we brought triples in the sizes that the crux pitch asked for. 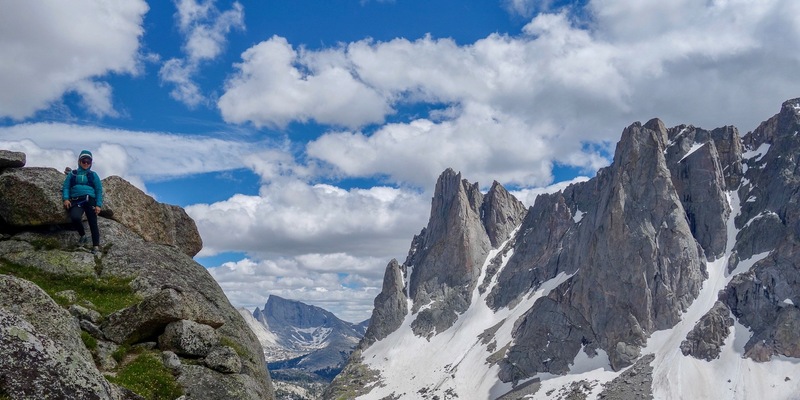 The gear beta was from the Mountain Project and the Supertopo. A single rack was perfect for the Sunny Side Bench Regular route. Alien cams. I understand now. The Totem ones. Bailing and emergency. We brought bail biners and cord so we could back up wonky anchors. I backed up anchors with rusty bolts several times. Max took a 17 meter fall on Golden Gate (on the move pitch) because a bolt came out. Scary. 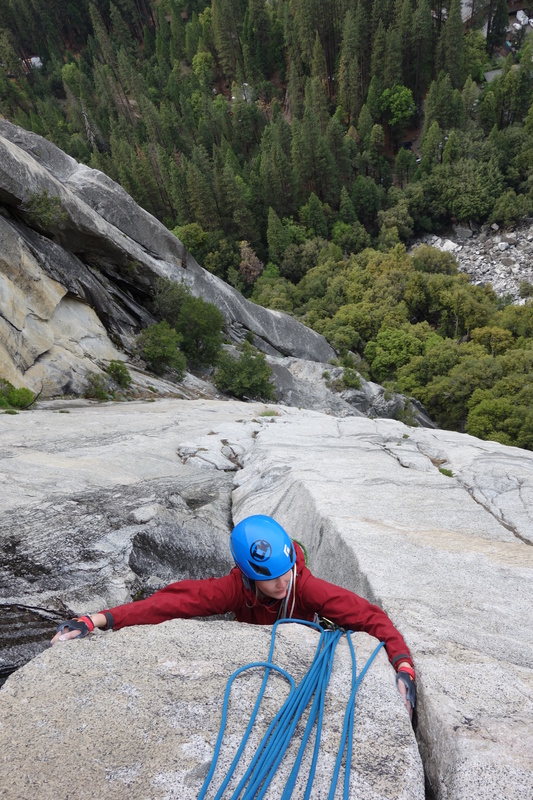 I recommend visiting the National park service website about climbing in Yosemite. In case of an emergency call 911. The gully descent from the Middle cathedral took us almost two hours. We woke up at 5am (jet lag made it very easy) to make sure we have enough daylight for the descent. Rest days. We hung out and did absolutely nothing. The Half dome village coffee shop has huge cinnamon rolls. We had some hard cider and took turns in braking this chair. 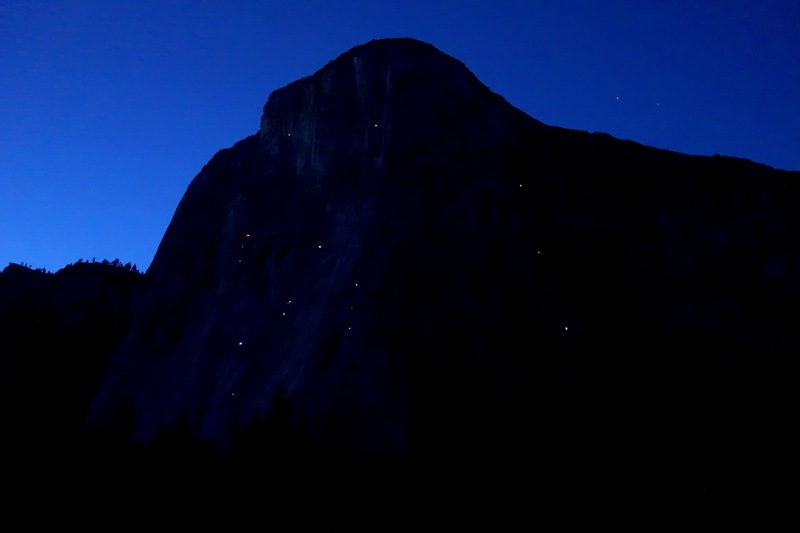 We hung out at El Cap until dark and watch the headlamps go on. Max and Pedro are the highest dot in the left. 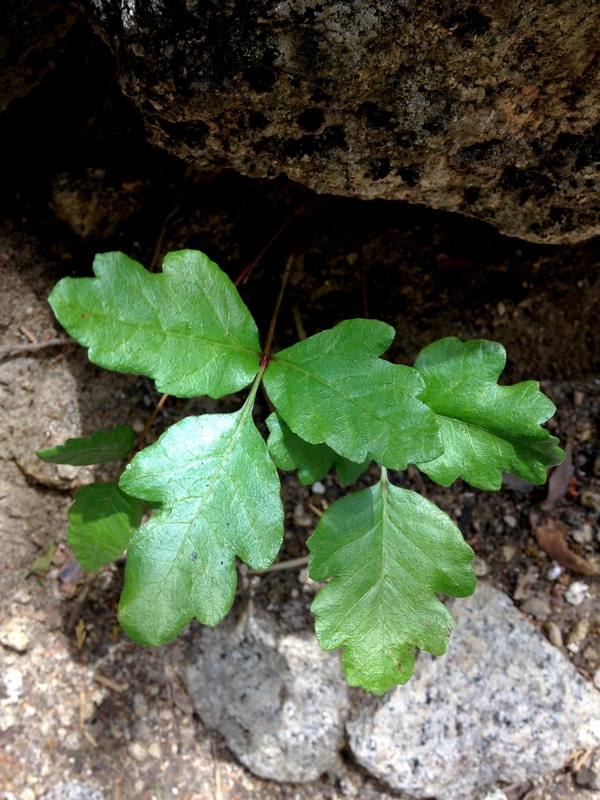 The climbing. Katja and I climbed mostly classics which in my opinion are all worth doing. 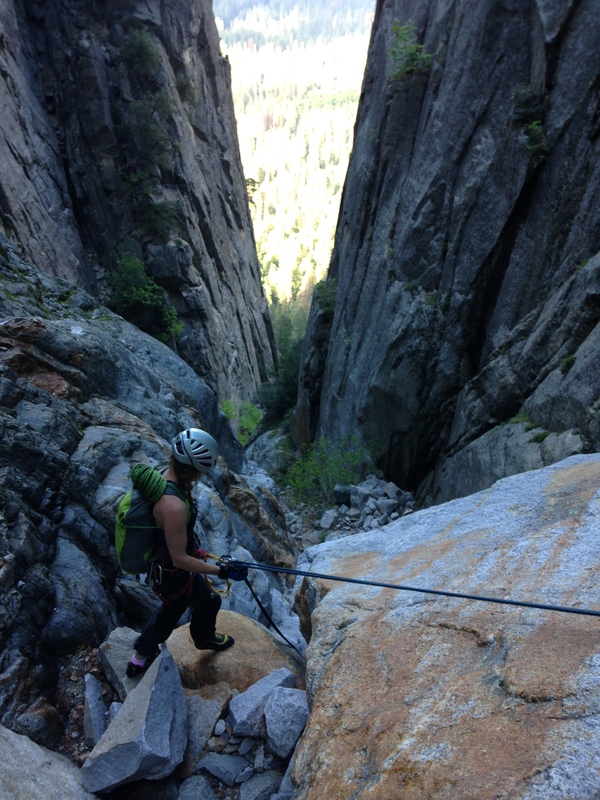 My favorites were Super Slide and the East Buttress of Middle Cathedral rock. We did the climbs in this order. The sector is mentioned in the parenthesis. 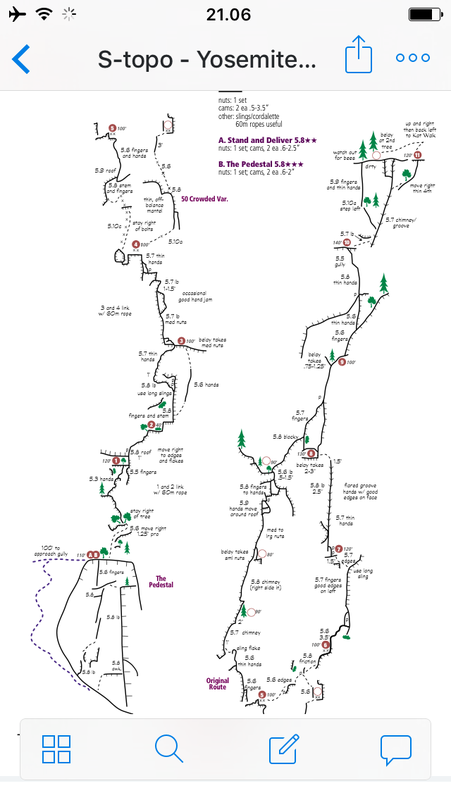 The routes are anywhere between 15 to 400 meters long. Approaching the The Five Open Books climbing area. After Seven 5.8 and Nutckracker 5.8 (Manure Pile Buttress). 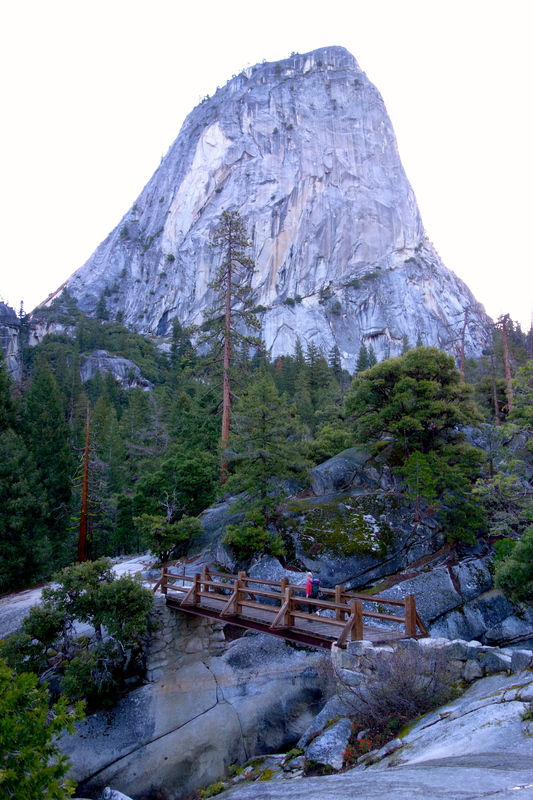 A view of the Liberty cap from the Vernal fall trail. 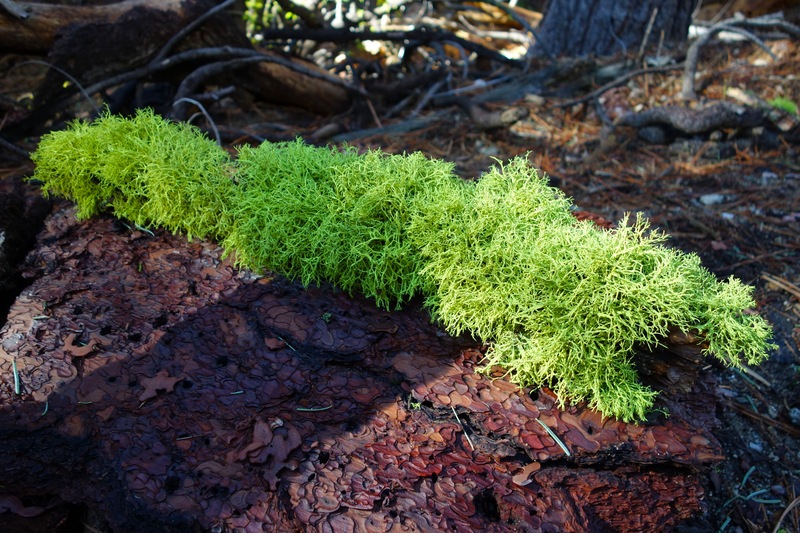 One of the highlights of our 24km Snake dike hike: a green furry thing! Hello. I am not afraid of you. Give me food. “Katja, do not touch anything green, ok?” “…but, it’s all green Emma.” Skriik skriik skriik! 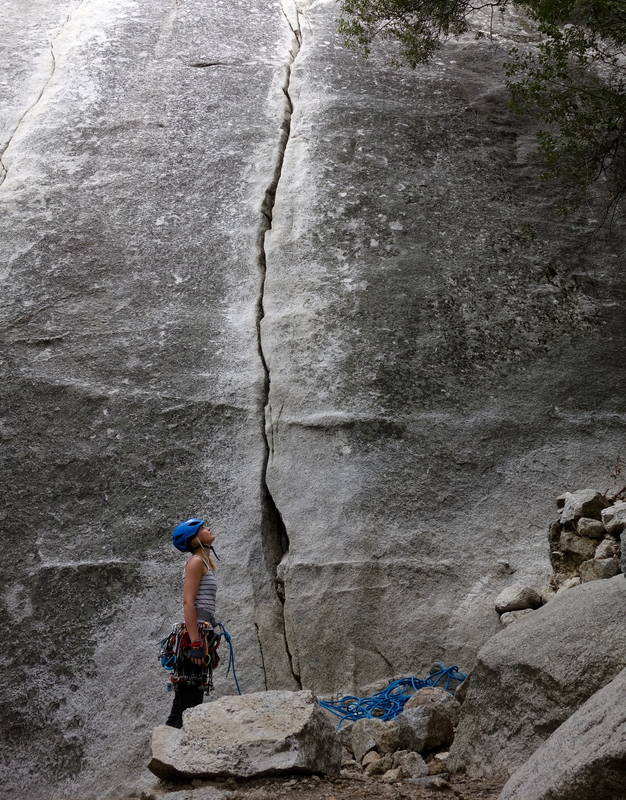 Katja is getting ready to send first pitch of Jamcrack. Katja is laughing because the Sunny Side Bench Regular route is just so good! Super Slide 5.9 (KILLER ANTS! 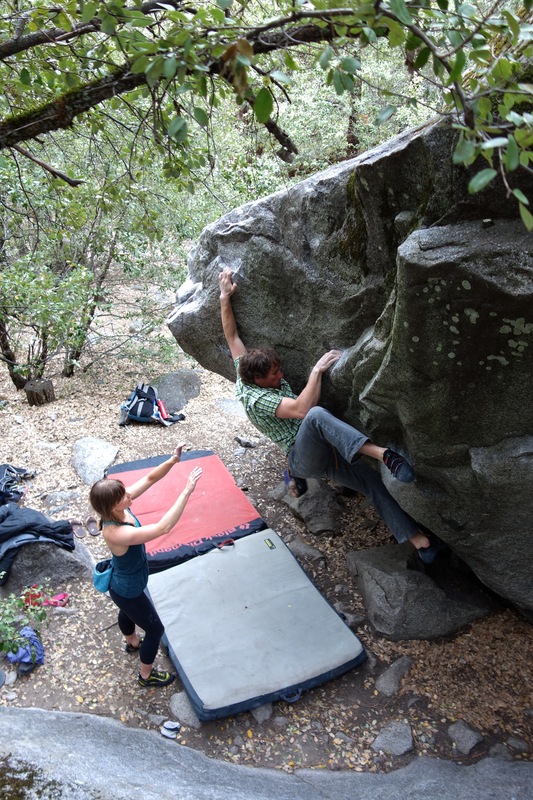 ), bouldering at Camp 4, and top roping Generator crack (Royal Arches, Camp 4, the highway 140). The P3 and P4 of Super Slide can be linked into one beautiful 60 meter hand crack. This is one of the best pitches we did. V4 traverse right behind Camp 4. The first pitch of Salathe. A very, very cool pitch. At the base of the East Buttress 7am. The incredible 5.7 flakes on P5. The chimney pitches were our favorite. Our poor haulbag is stuck. Make sure that you take it from the right website. I googled it first and I almost had to pay 80 euros. Luckily I realized my mistake before giving my credit card informations. "Water and bathrooms. Are everywhere." "Approaching the The Five Open Books climbing area." I think that at that point we are already walked past the path. Aren't we? "Katja is hating life in the second chimney"